Chocolate, almond, cranberry & coffee smoothie! I haven’t written about this in a while but I feel it’s important to remind myself and others that just because you have been through a “mess”, in my case an ugly divorce when my son was born DOES NOT MEAN YOUR WORLD HAS ENDED!! 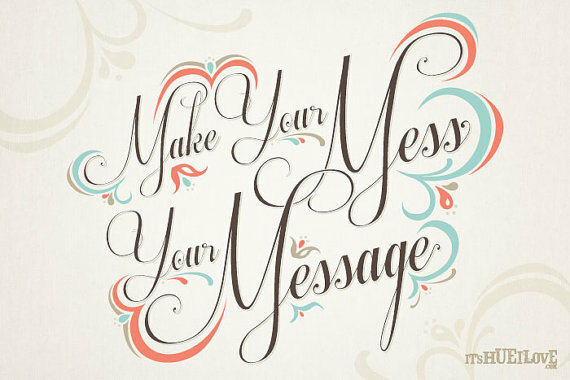 In fact, a mess can be turned into your message!! I am much more awesome post divorce, post 20’s and post baby! Going through a messy time in your life needs to be looked at in one and one way only. There is something much better on the other side!! For me my mess has turned into me finding my passion for helping people to be healthy and get fit. I am benefiting much more than I could have ever imagined from changing careers (I was previously in HR before becoming a personal trainer). Money is no longer what I strive for or get sad over when I don’t have enough. I reversed everything and do what I am passionate about and what comes of it is a much happier more confident person. If you believe in yourself and do what you love you can make money, you can stay home with your son one day a week, you can love to go to work. You have to put the work into it and spend your time making things happen rather than complaining that they are not the way you want them to be. This theory is exactly what changing your body is about. It will happen if you do the work and if you put your heart and soul into it entirely! I can relate to moms, I can relate to people struggling with their weight and self-image. I was once there! 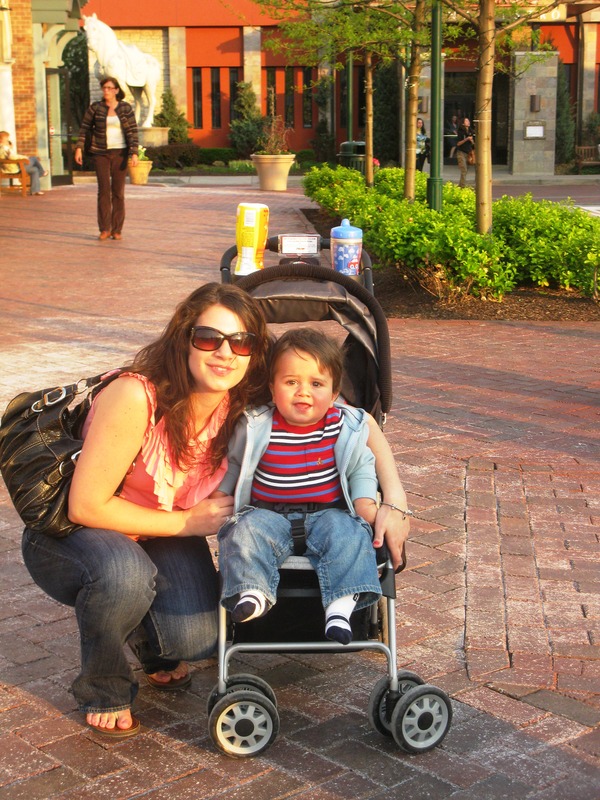 Here is a picture of me with my son (April 2010) when I was just turning 30….and as I like to say,” dazed and confused”. I didn’t know what I was going to do, I didn’t even really know who I was. I have spent the past 3 years finding myself (thru trial and error) and following my passion. Working out and eating right changed me tremendously. It gave me the power to truly be me and not hide behind this girl in the picture. I was sad, mad, scared, divorced, a new mom and honestly LOST. 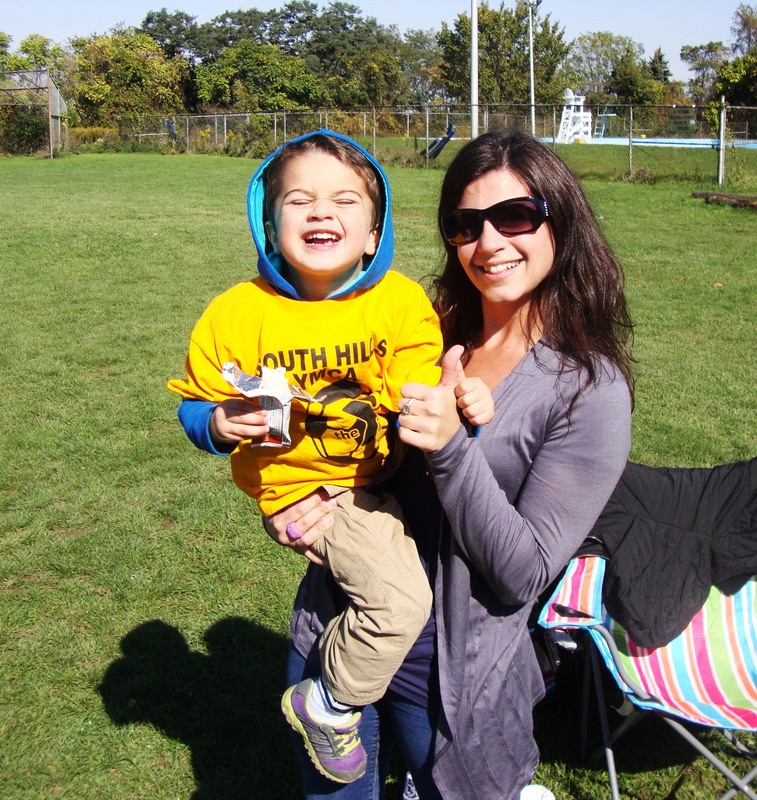 My son and I-post divorce-April 2010-right before I started working out and eating right. 138 lbs. 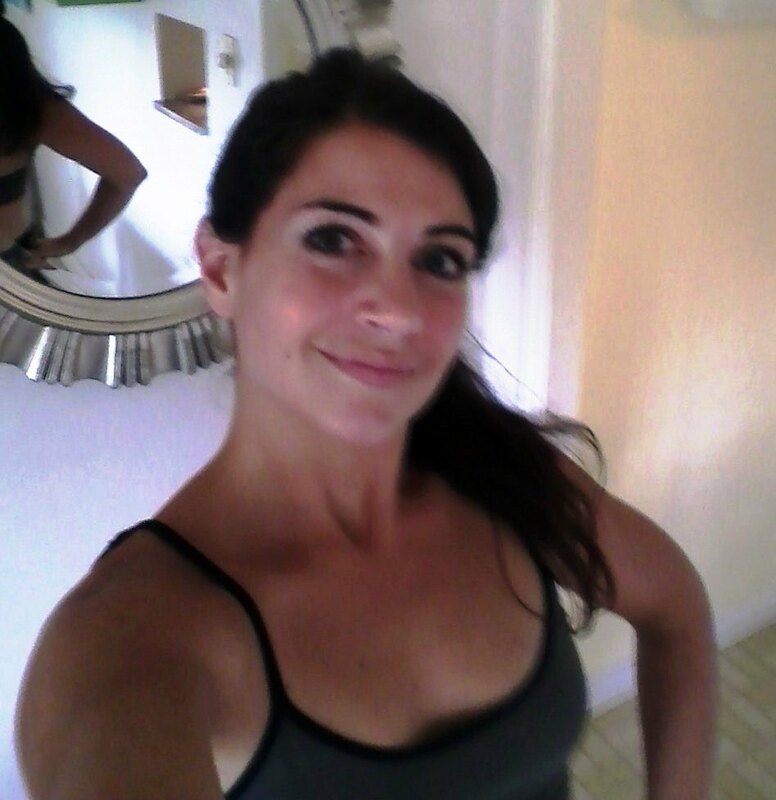 Fitness helped me FIND my true self and use that to help and inspire others! Most importantly, it gave me the confidence to go after what I wanted in ALL aspects of life. I feel amazing now and I have no problem keeping my weight under control. I have changed all of my habits. I live this way now and it is wonderful!!! I do go by the 80/20 rule and indulge in wine, beer order pizza and even eat sweet treats every once in a while but they are not my normal and they are not what I want in my body most of the time. I eat lean and I eat often. I love fruits and veggies and good carbs. 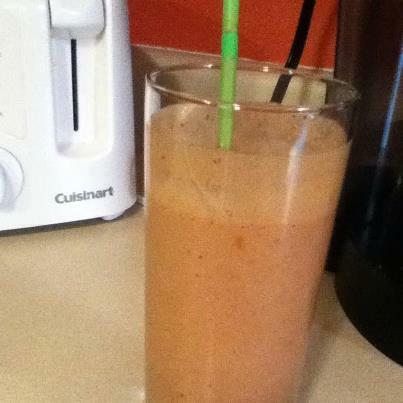 I have a daily dose of flax seeds and I drink lots of water. These things help me stay on track and feel great! They give me the energy to go after my dreams and stay fit! In the pic above I weighed 138 lbs. I never really worked out and I ate like crap, I had no muscle tone!!! I remember trying to workout in that previous year and not even being able to get past 1 min on an elliptical! I was pathetic!!! 🙂 Last fall I ran a 10 K and I am now training for the Pittsburgh half-marthon in May! This is amazing considering who I was 3 years ago! 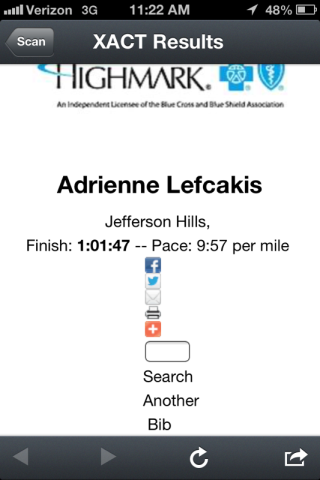 10K race results-something I never thought I would do! My scale has read as low as 109 lbs a year ago and everything in between to where I am now at 125 lbs-strong, toned, full of energy and HAPPY!!! This is where I want to be because this is where I feel my best!!! I don’t weigh myself daily and sometimes not even weekly. I base everything on how I FEEL. How do my clothes fit? Am I full of energy or sluggish? The scale is a good gauge but it is not what I “rate” myself on! I would rather have more lean muscle on my body than be a certain number on the scale. I hope my journey can help Inspire you! If I can do this then YOU CAN DO THIS!!! On my way to run outside-fall 2012-Never thought this would happen either!!! Just keep going!! Suntee’ 1 tsp minced garlic, 1/4 tbsp butter, 2 c frozen spinach leaves, 2 tsp lemon juice and 1/2 c crumbled feta in pan until spinach is warm throughout. Rough chop baby potatoes to equal 2 c worth, place in baking dish and add 1 tsp garlic powder, 1 tsp pepper, dash of salt, sprinkle red pepper flakes to your liking, chop 1/4 tbsp butter and place in 4 corners of dish. Add 2 tsp lemon juice, 1/2 c chopped red onion and 1/4 c shredded parmesan cheese-give it a stir and bake for 45 min at 385 degrees. So clean and healthy and the whole family will love this one! 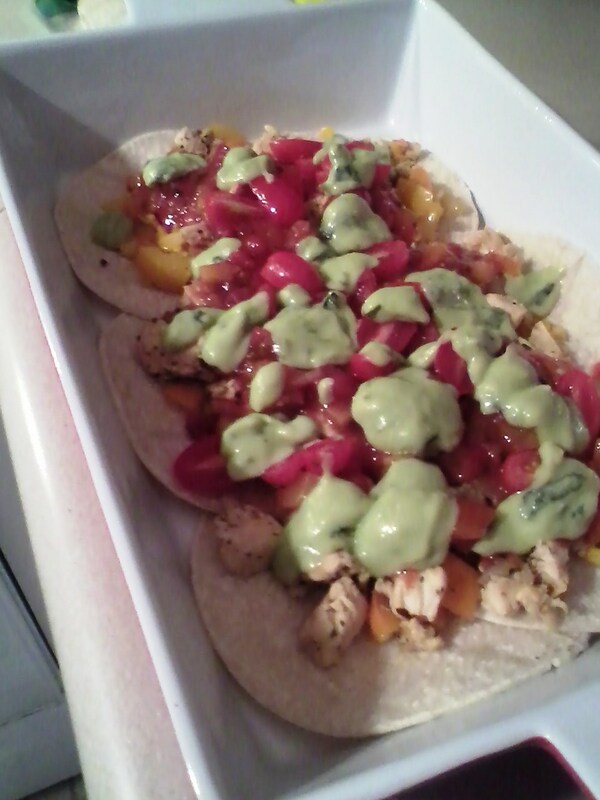 2.Next, add the tomatoes and half of the salsa, half the cheese and then half of the avocado dressing. 3.Layer 4 more tortillas and add the rest of the meat and veggie mix, then repeat step 2. Bake uncovered at 400 degrees for 20 to 25 min. When you take pan out of the oven drizzle 1 tbsp of pure honey over baked mixture and let cool. Let cool for 10 min then add 1/3 c dried black currants, 1 heaping tbsp of the coconut flakes and 1/4 c mini choc chips to each “batch”. Store in tight container in fridge. 1 serving is 1/4 cup which makes about 40 servings. 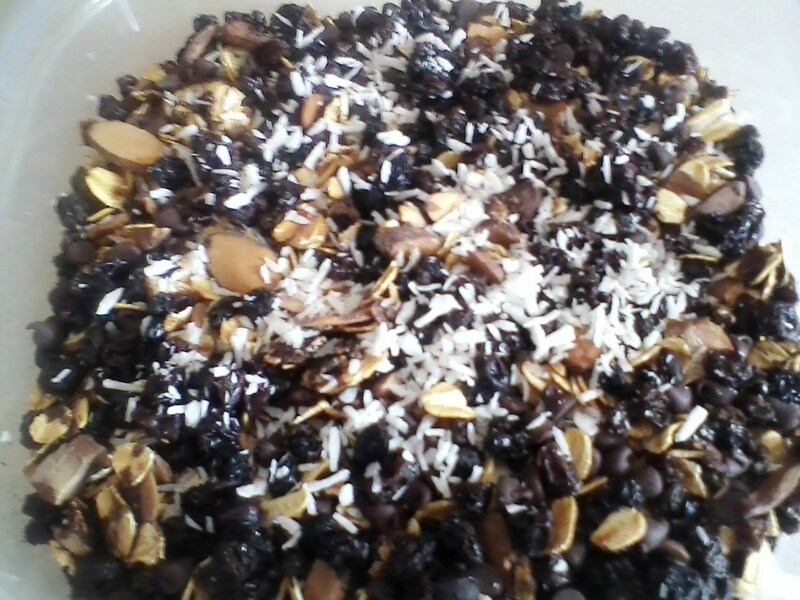 My rule with granola making-always share with your friends and family-spread the love!! Instead of milk I used green tea with extra tea extract and other added natural ingredients that help with cleansing and also have anti oxidant benefits! Blend & Enjoy! I hope you like it and its added benefits from the tea!! 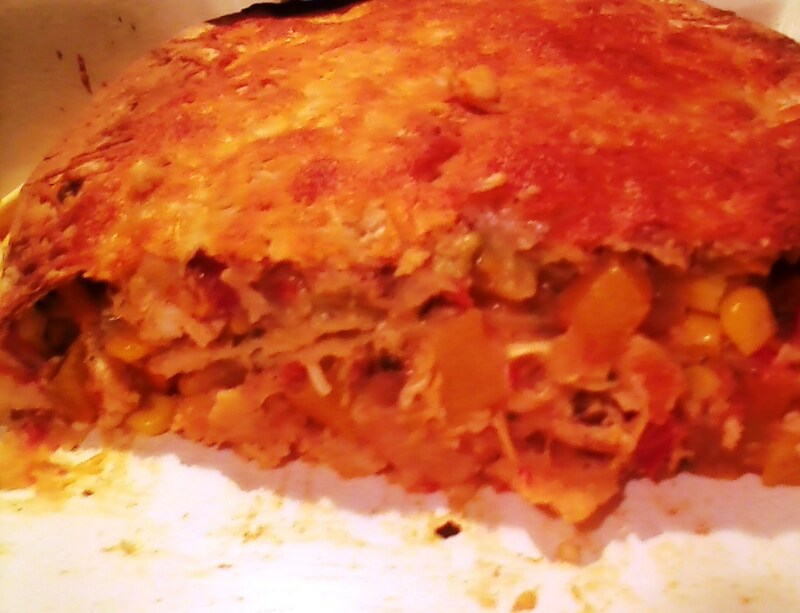 Well, it’s official…I am obsessed with making different Tuna Casseroles/Bakes!!! My mom used to make them when we were little but with Velveeta and always the same! 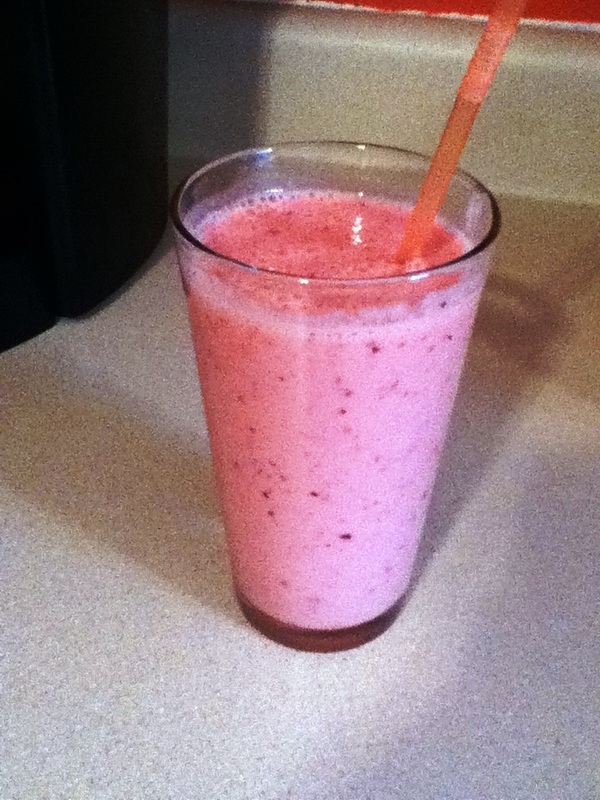 I like to make them healthier and mix them up with different flavors. 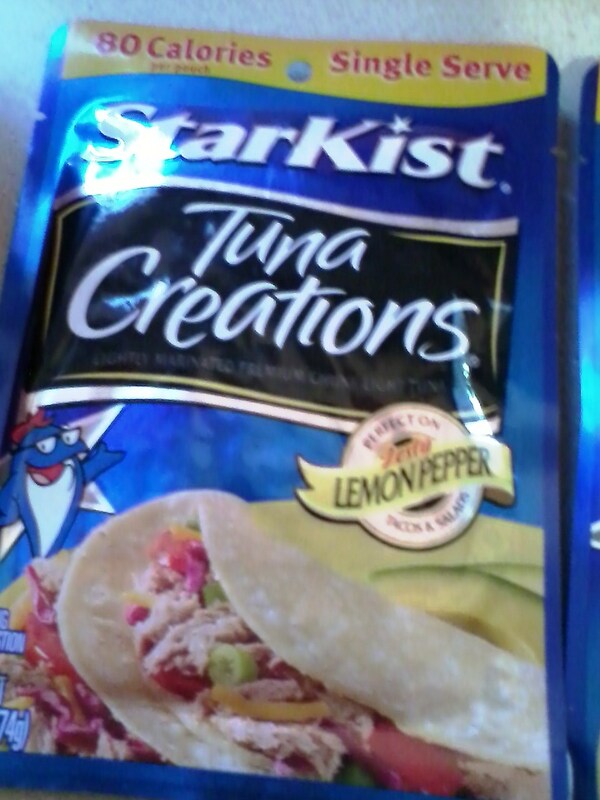 I made this one with 2 lemon pepper tuna (from Starkist) pouches pictured below! Cook 2 cups dry pasta-I used Dreamfields Rotini (just under cook it according to the directions because you are then going to bake it) I love Dreamfields pasta-it is a smart way to eat pasta because it is high in protein and fiber too! 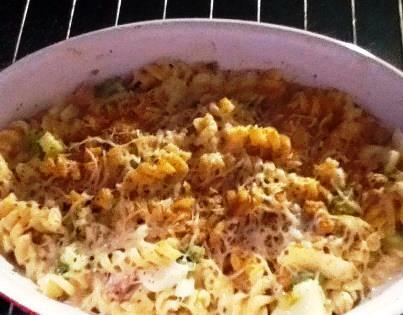 Add the drained pasta to your casserole dish filled with tuna, 1 small can reduced sodium cream of celery, one c skim or almond milk, 1/2 c chopped green pepper, 1/2 c chopped celery, 1/3 c chopped onion, the juice if one half lemon, season with parsley, garlic powder, pepper, add 1/4 c parmesan cheese-Mix all together well. Top that sparingly with 3 tsp whole wheat breadcrumbs or panko bread crumbs, more parsley and pepper, 1/4 c shredded mozzarella cheese and last finish off with the zest of the half lemon you juiced! ***As a rule I always go easy on the cheese and also the breadcrumbs-this is how you can still eat what you want by just tweaking it to make it more figure friendly!! 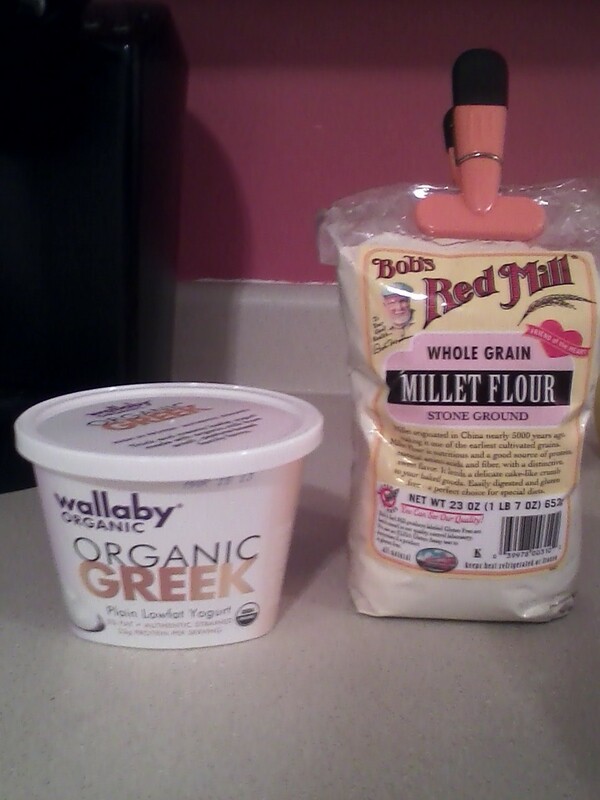 I also try to use almond milk or skim to cut some fat out there too! Eat smarter!! Tacos!!! Who doesn’t love a taco! 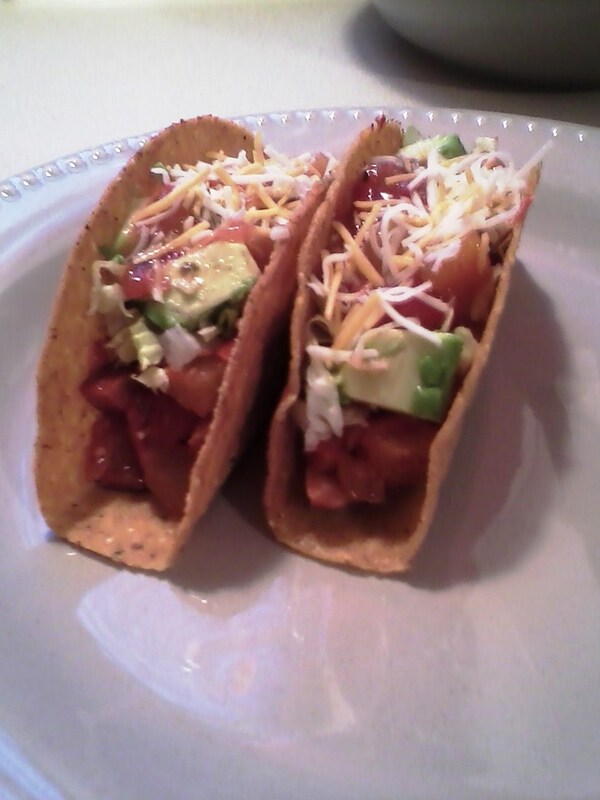 I filled these babies with chicken sausage, peppers, pineapple, onions and tomatoes then topped them with avocados, cheese and salsa. I would give these somewhere between not too shabby and clean!! (Because of the shells and chicken sausage) I stay happy and satisfied by staying mostly in the pretty clean to clean scale and every once in a while I go super-duper clean and of course every once in a while I go bad-I am human!!! I hope you can relate to that scale!! 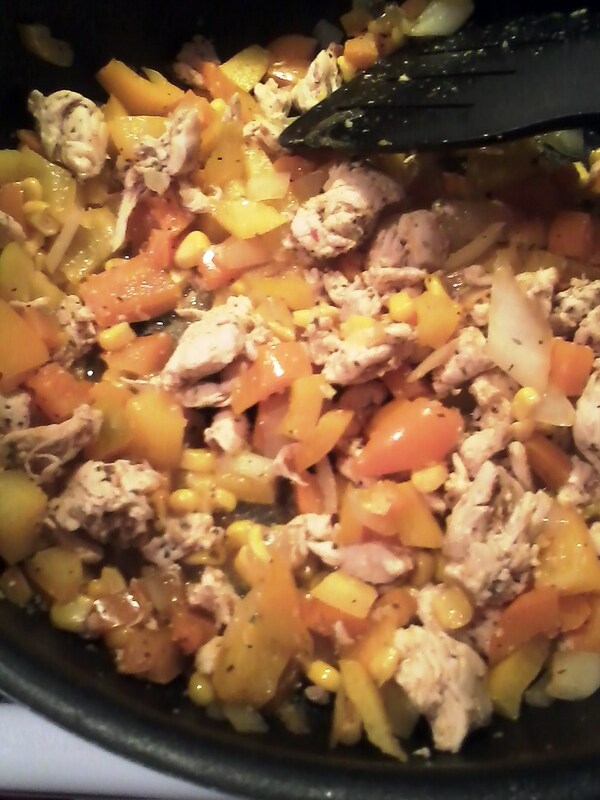 Brown protein in skillet-I chose to use 2 links of chicken sausage or a super clean choice would be ground turkey or chicken breast. 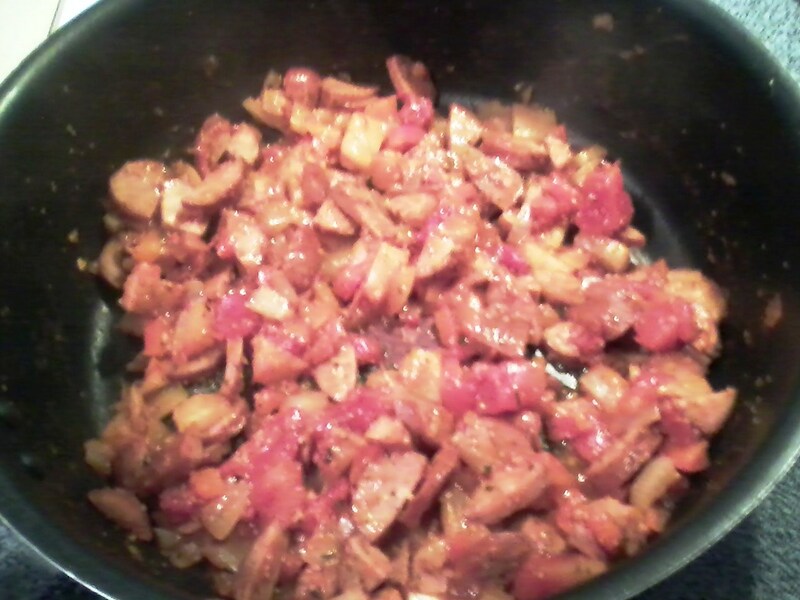 I then added chopped pineapple, tomatoes, onion and red peppers. Next I took pepper and Badia seasoning (I use this a lot) and just a touch of the seasoning and sauce that came with the shells in the box. 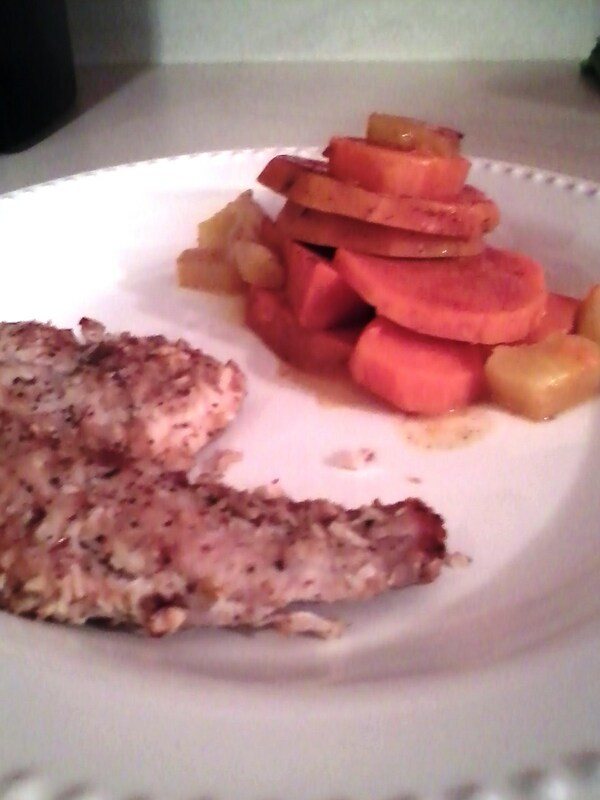 The key here is to NOT use the packaged sauce and seasonings that they provide. Frozen and boxed meals come with sauces and powdered seasonings-that is where most of the sodium and bad stuff is hiding!! Another tip that I try to keep in mind is when making a “filling” for something try to make the bulk of it veggies like I did here, a little meat and mostly veggies goes a long way. 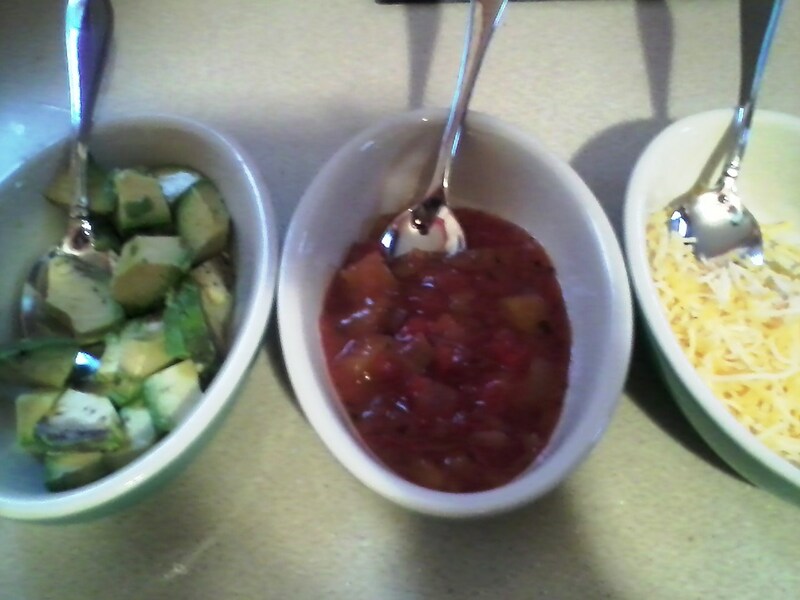 Offer healthy toppings, going light on the cheese and heavier on the healthier picks like avocados and salsa. Remember portion control too! I had 2 tacos at 5:30 and was full all night-did not need to snack! Happy, healthy, satisfied and full! 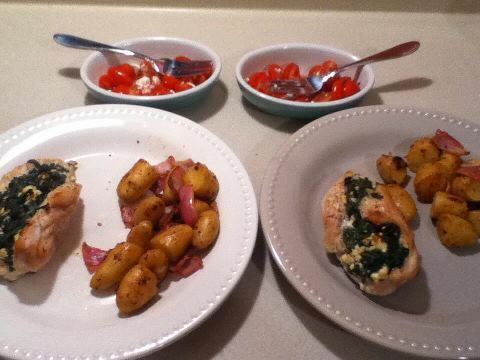 I hope you enjoy this recipe idea!